Was Jesus confused? Did He know He was Messiah? Or divine? Did He know much about the afterlife? Did He have at least one superstition? Did He have only the mentality of a Jew of the first third of the first century?–Wild as it may seem, some prominent scholars charge Him on all the above counts, and more too. But: What does the Church teach on these things? Pope Pius XII, in his great Encyclical on the “Mystical Body,” on June 29, 1943, rejected all such charges. 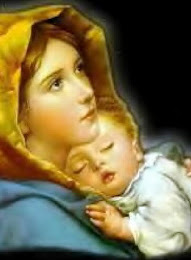 He taught: “By that blessed vision which He enjoyed when just received in the womb of the Mother of God, He has all the members of the Mystical Body continuously and perpetually present to Himself.” In other words: His human souls saw the vision of God at once, and in it all knowledge is at hand. In another Encyclical, “Sempiternus Rex,” in 1951, the same Pope complained many were not accepting his teaching. Then in still another Encyclical, “Haurietis aquas,” in 1956, he clearly repeated his earlier teaching. Further, on July 24, 1966, the Congregation for the Doctrine of the Faith under Pope Paul VI, complained many were still not accepting. Clearly, the repeated teaching shows the Church means to make this definite and definitive, namely, that the human soul of Jesus, from the first instant, saw the vision of God, in which all knowledge is accessible. (The objectors do not really mean that a divine HE was ignorant – they mean His human mind did not register some things). The stubbornness of those who reject is remarkable. Of course, a promise of Christ cannot fail. 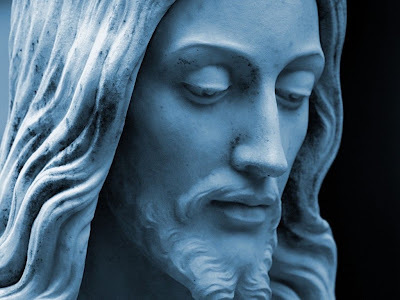 The modern trouble on Christ’s human knowledge was sparked by a book, by P. Galtier, “L’unité du Christ,” which appeared in 1939 – followed soon, in 1943, by the Encyclical of Pius XII, and then by still more texts, as we said. So this teaching is infallible, on two counts. Really, even without the help of the official texts, we should be able to see for ourselves that the human mind of Jesus not only happened to have that vision, but could not lack it. We see it in the following way. For any soul to reach that vision (which happens to others in heaven), two things are needed: 1) the power of the soul to see needs to be elevated by grace. Of course that was true in Jesus; 2) The divinity should join itself directly to the human mind, without even an image in between, so that the mind may see God. Now in an ordinary case, if we put together human body and human soul, that is automatically a human person. That did not happen in the case of Jesus – His human mind, and whole humanity, was assumed, taken over, by the Second Person of the Holy Trinity. Therefore His human mind was joined to the divinity, even more closely than happens in the case of an ordinary soul – for when an ordinary soul receives that vision, it remains a separate person. But in Jesus, there was only one Person, the Divine Person. So His human soul could not possibly have lacked this vision. In other souls, this vision causes complete blessedness. In Jesus, there was in a way blessedness, but only on the highest point of His soul, as it were. On the other hand, the vision revealed to Him, in merciless detail, everything He would have to suffer in His Passion. If one of us foresees something dreadful coming, he can take refuge in the thought: Maybe it won’t happen; maybe it won’t be that bad. But the vision in Jesus could be called merciless: it showed Him with distressing clarity and absolute infallibility what was to come. To live a life under such a vision was dreadfully painful. When we have a long-running trouble, as it were, it wears the skin thin. In Him it did something like that. Yes, His divinity could have protected Him from that. But He had resolved, when He “emptied Himself” (Phil. 2:7) not to use His power for His own comfort, only for the sick. So an unprotected humanity would be in unending apprehension. Twice He let us see inside Himself In Lk. 12:50: “I have a baptism to be baptized with, and how am I straitened until it be accomplished”. That is: I have to be plunged in the deep waters of suffering. I am in a tight spot, cannot get comfortable until I get it over with. Again, about a week before His death, He was speaking to a crowd in Jerusalem, and decided to let us see inside again (John 12:27): “Now my heart is troubled. What shall I say? Father, save me from this hour!”After that, in Gethsemani, the nightmare that had been pursuing Him caught up. He could not scream and find it only a dream: it was there in all its hideous reality. The interior tension ruptured the small blood vessels near the sweat glands, resulting in literally a sweat of blood, medically known as hematidrosis. He even, as St. Mark’s Gospel reports (14:33), felt fear. The fact He knew He would rise on the third day could not keep the nails from hurting. Again, His divine power could have rescued Him from suffering. But He had resolved not to use that for His own sake. So again, an unprotected humanity could not help shrinking back in horror. Instead of charging Him with such ignorance, we should be immeasurably grateful that He was willing to go through such a life, such a death. We owe Him reparation too for the charges of ignorance. There are objections: In Lk. 2:42 we read that He advanced in wisdom and age. So was He deficient in wisdom before? No, the Fathers of the Church, after St. Athanasius, point out there is a difference between actual growth in wisdom, and growth in manifestation of it, how much He showed. He measured it out in accord with each point of age.Again, in Mark 13:32 He Himself said He did not know the day of the end. Pope St. Gregory the Great solves this problem by saying that He knew the day in His humanity, but not from His humanity. That is, in our terms, the information did register on His human mind, even though His humanity was not the source of that information.When His Mother, on finding Him in the temple, did not understand, it was not that she did not know who He was. It was that she did not understand this strange departure form His usual compliant way of acting. 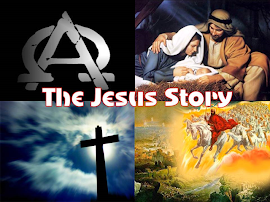 Actually, as soon as the Archangel at the Annunciation told her He would reign over the house of Jacob forever, she knew at once He was the Messiah – any ordinary Jew would grasp that, for only the Messiah would reign forever. Then all the prophecies about the Messiah would come to her mind as she pondered in her heart, including the dread chapter 53 of Isaiah, about the lamb led to the slaughter, along with Psalm 22, saying,. “They have pierced my hands and my feet.” So she too must have suffered all along, together with Him. So we owe reparation, make-up, to her together with Him.